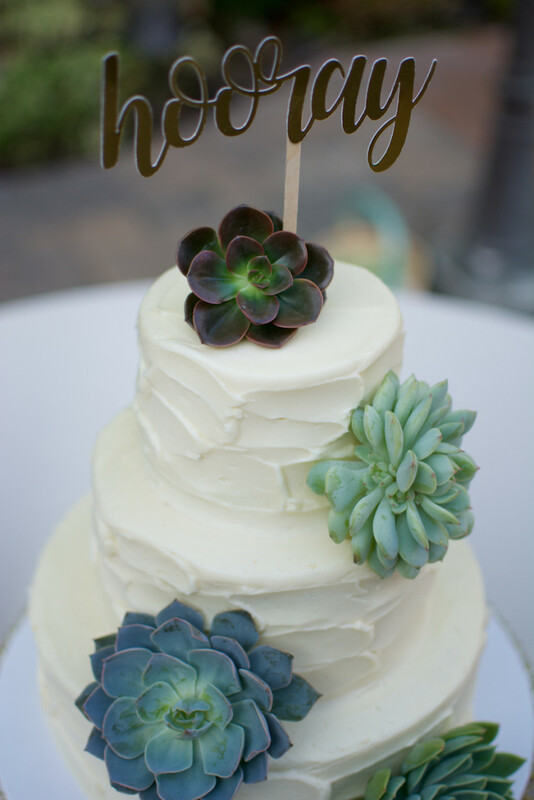 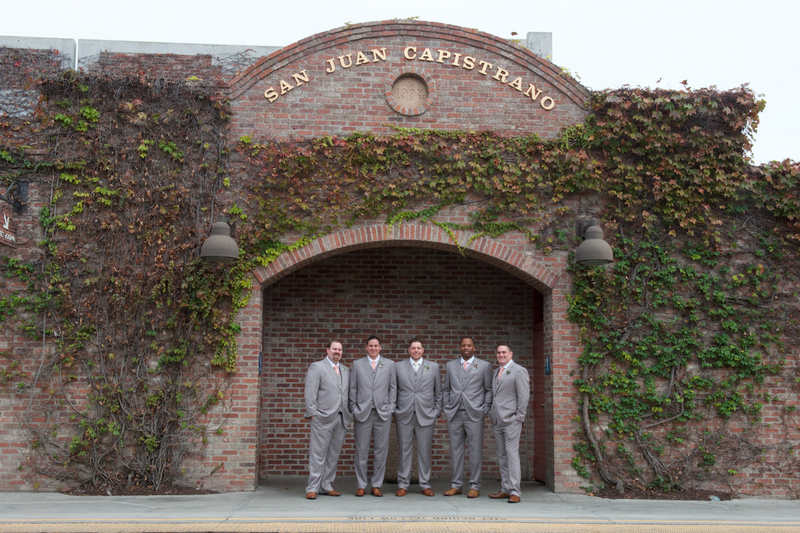 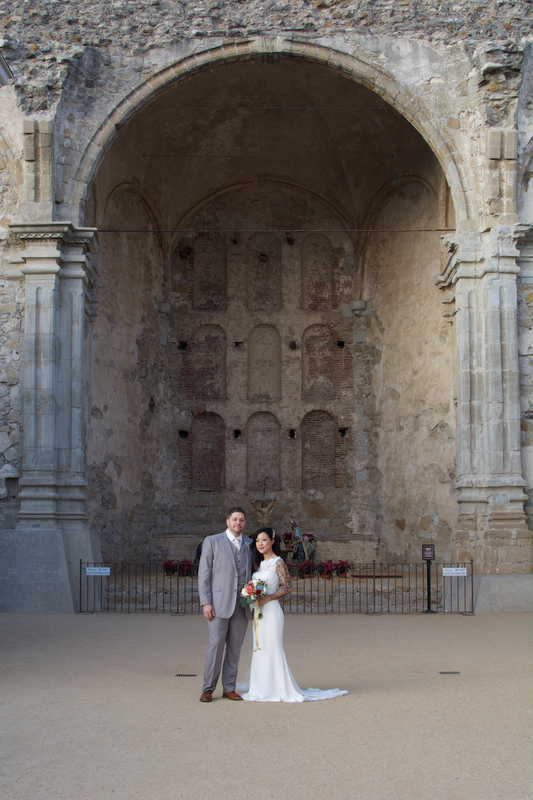 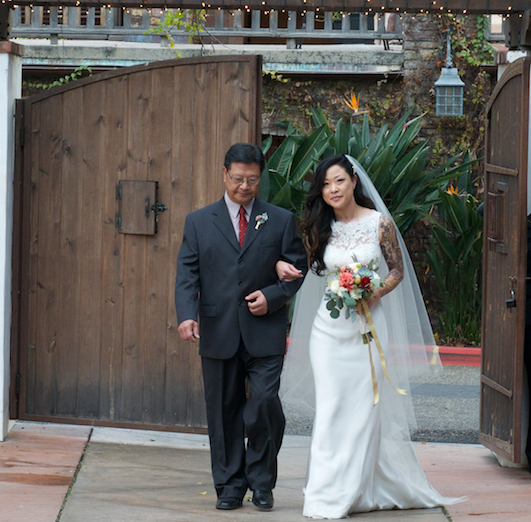 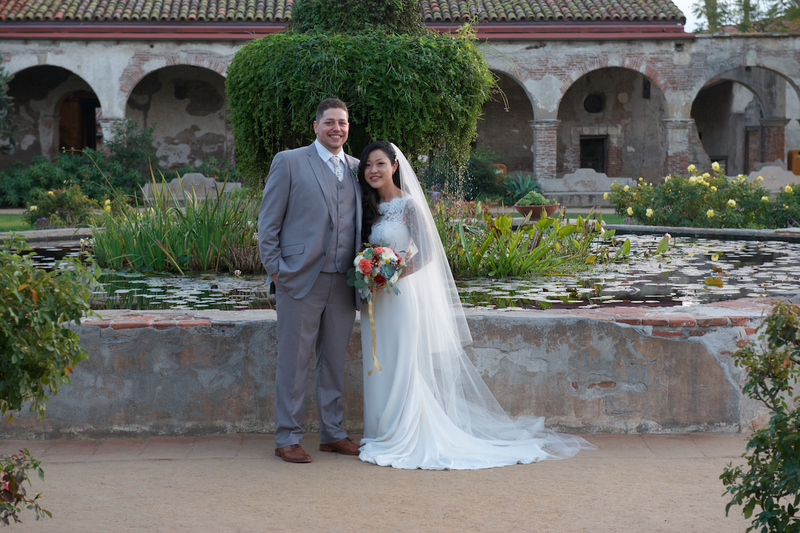 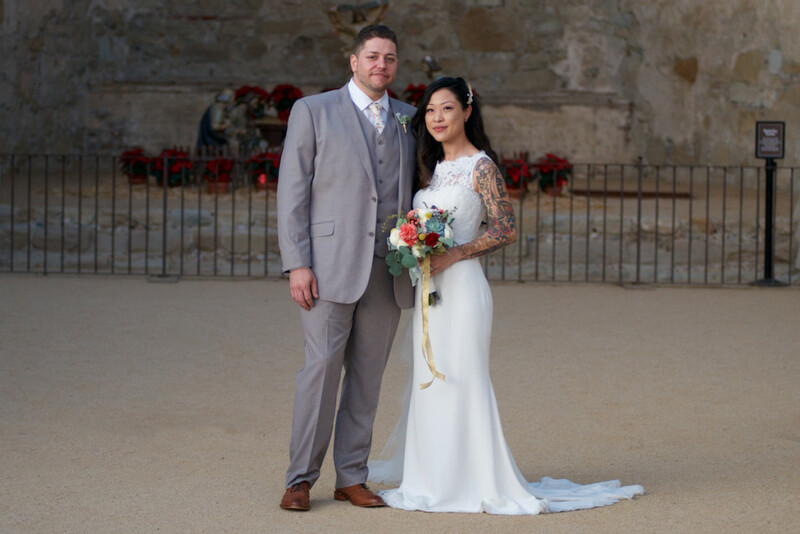 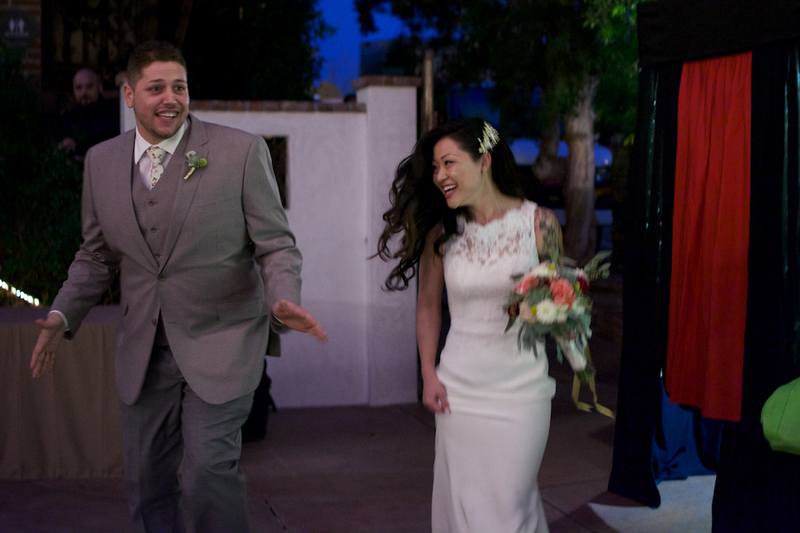 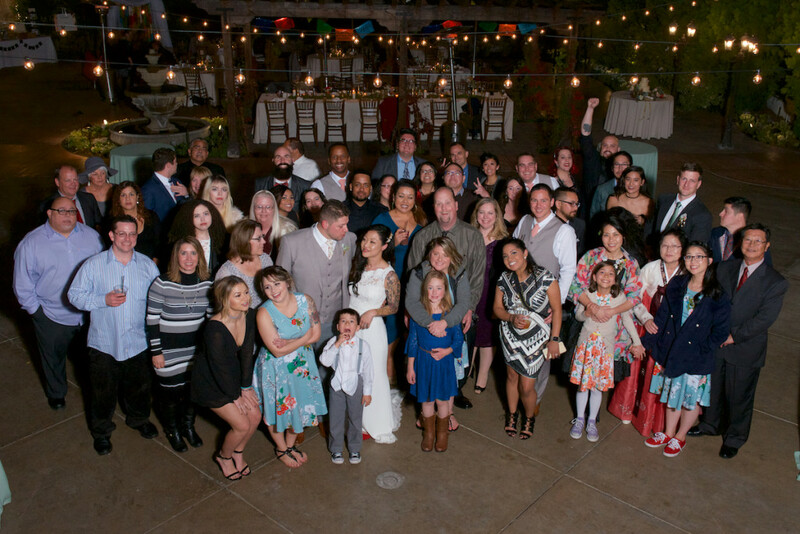 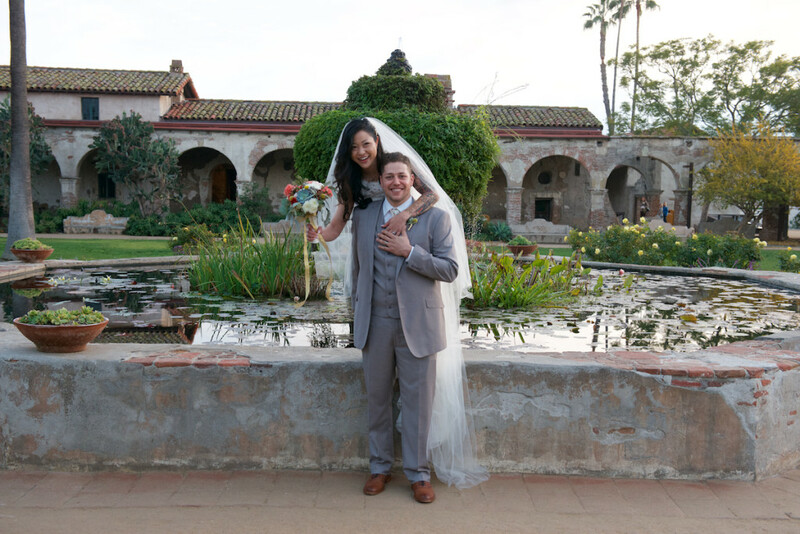 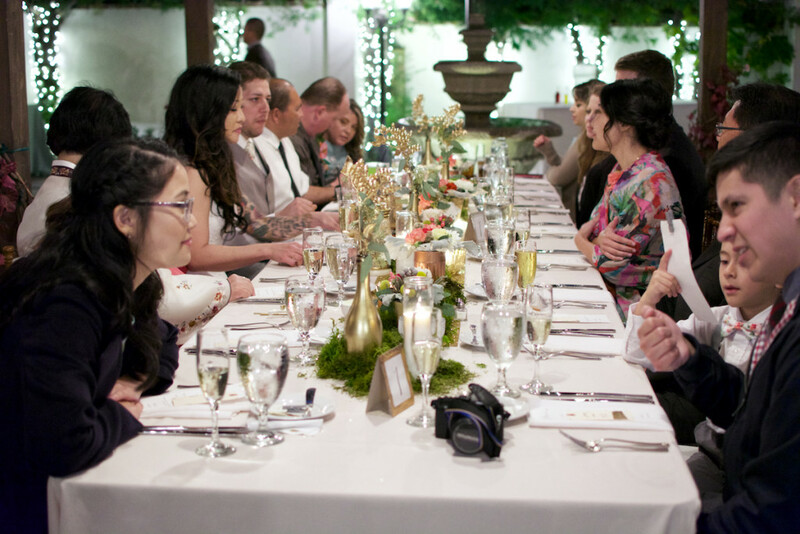 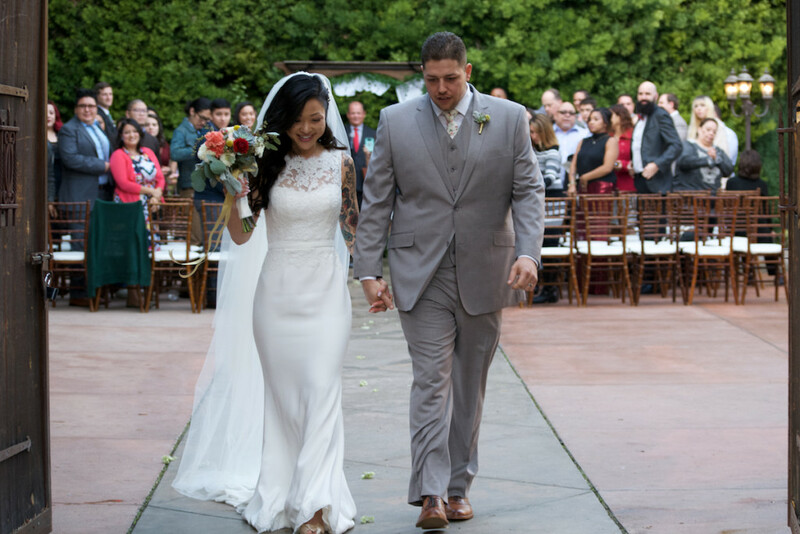 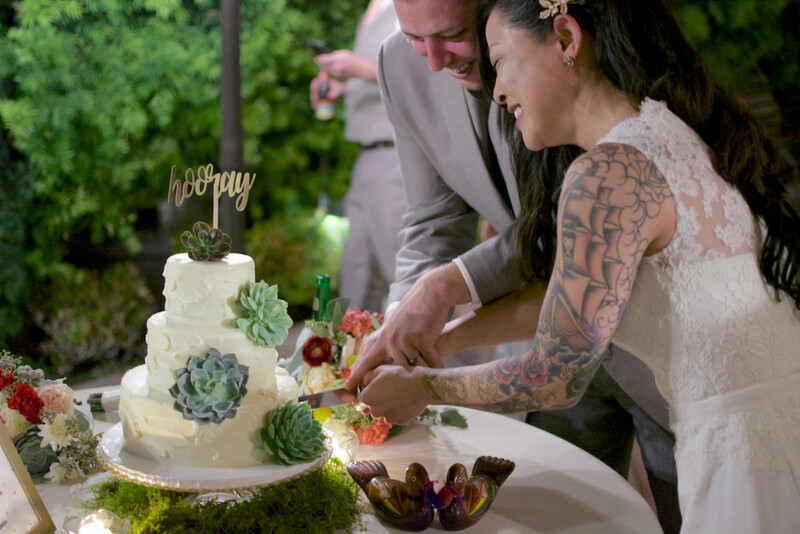 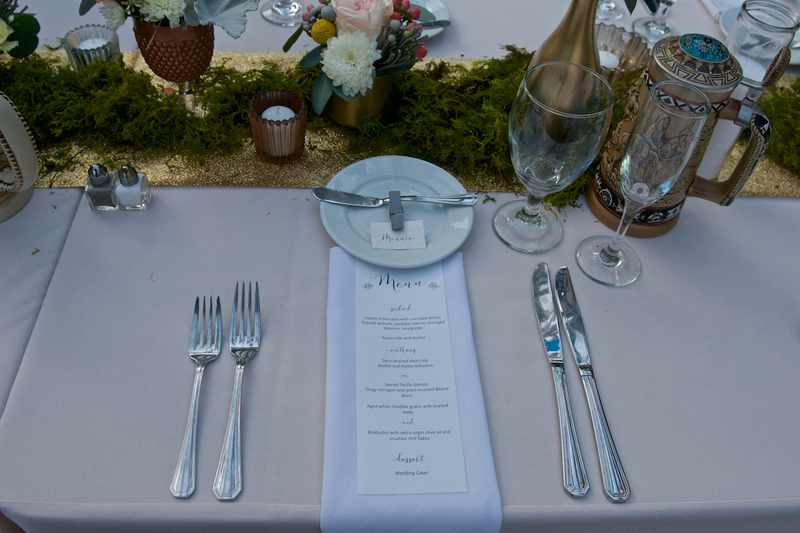 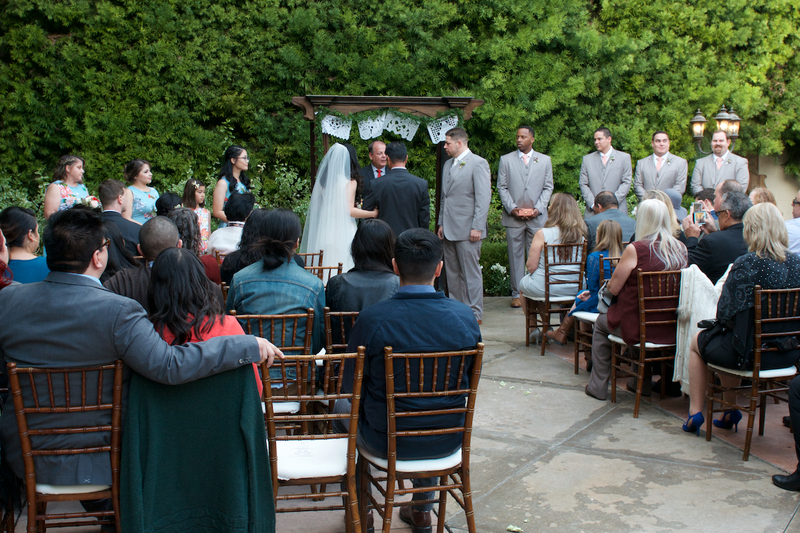 This wedding took place at Franciscan Gardens in San Juan Capistrano. 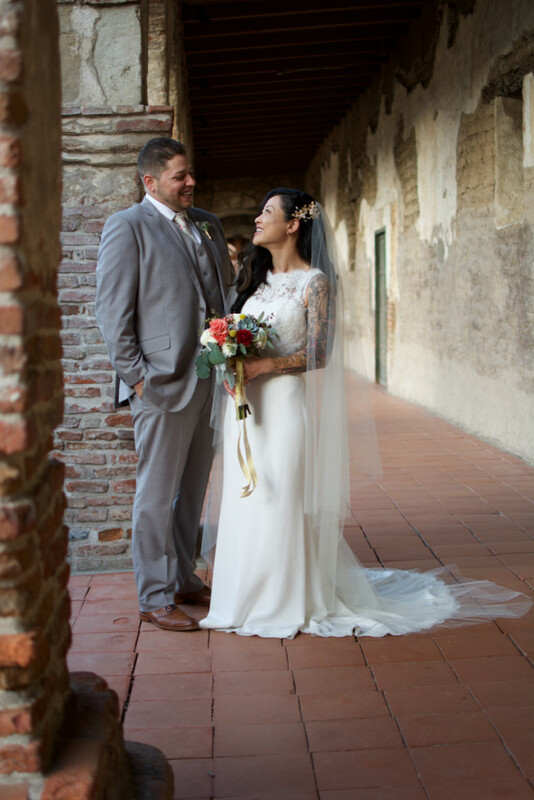 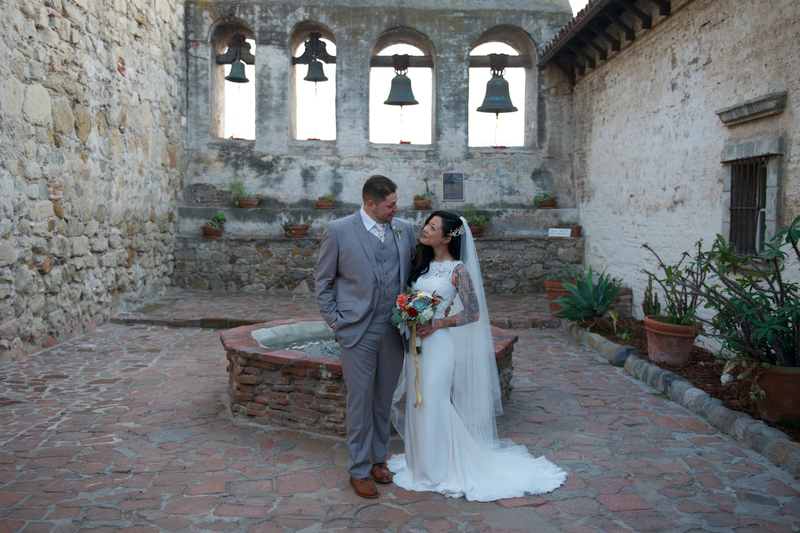 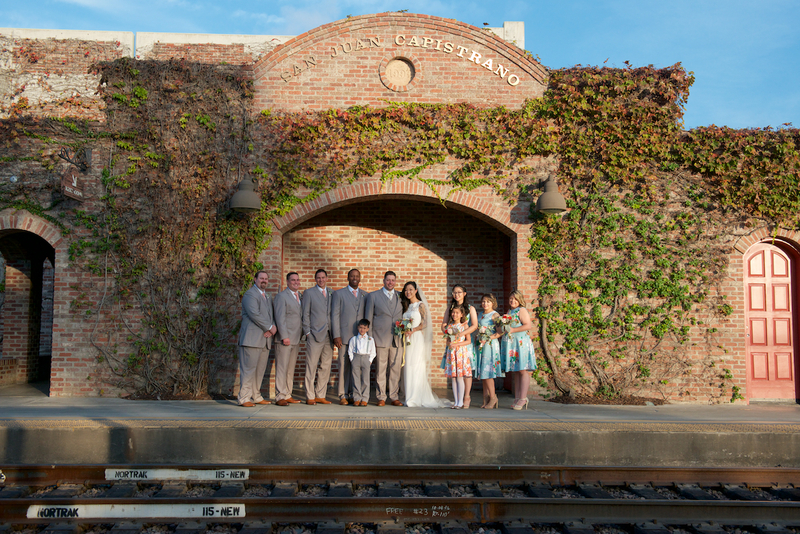 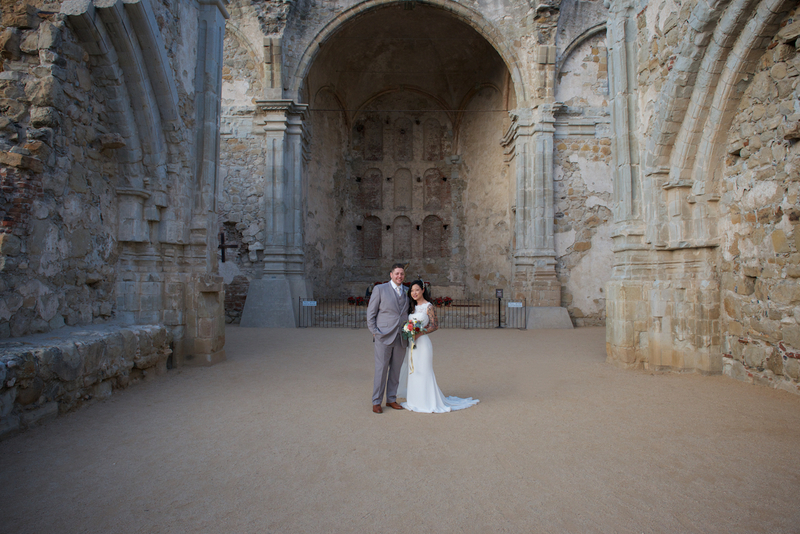 This venue is within walking to the San Juan Capistrano Mission, and the couple made sure to utilize that landmark to capture some timeless photos on their wedding day. 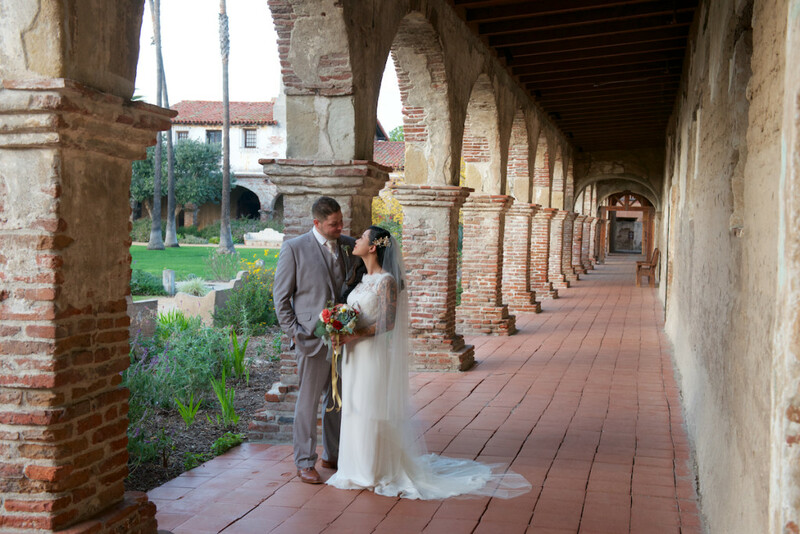 In addition to the Mission, there are tons of amazing photo backdrops within walking distance of Franciscan gardens, which is what makes this one of our favorite Orange County Wedding Venues. 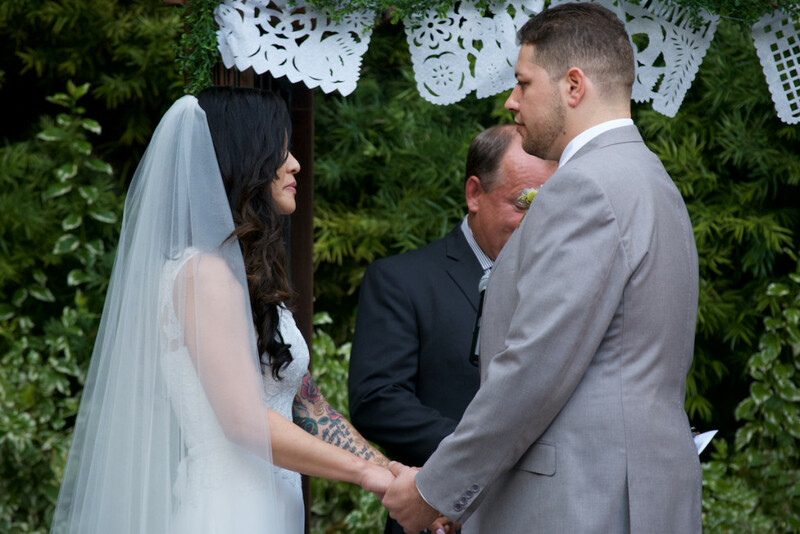 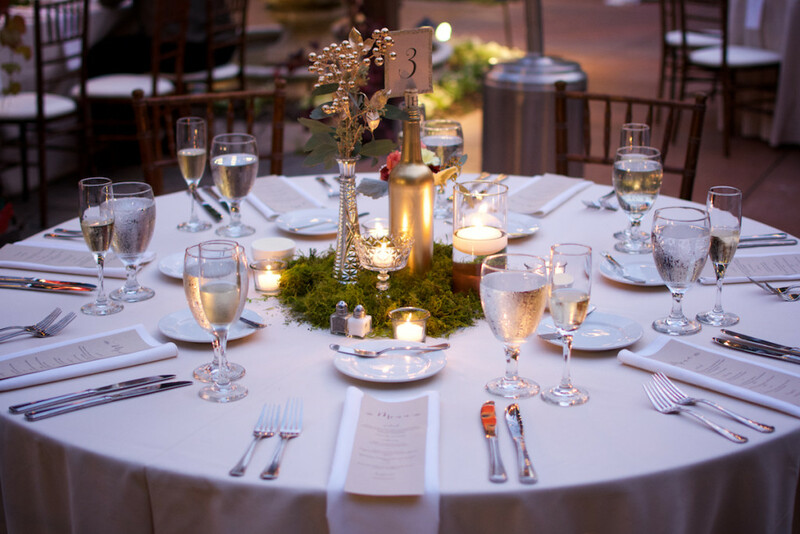 Stop and Stare Events Coordinator, Korin took the lead on this wedding and loved working with such a sweet couple. 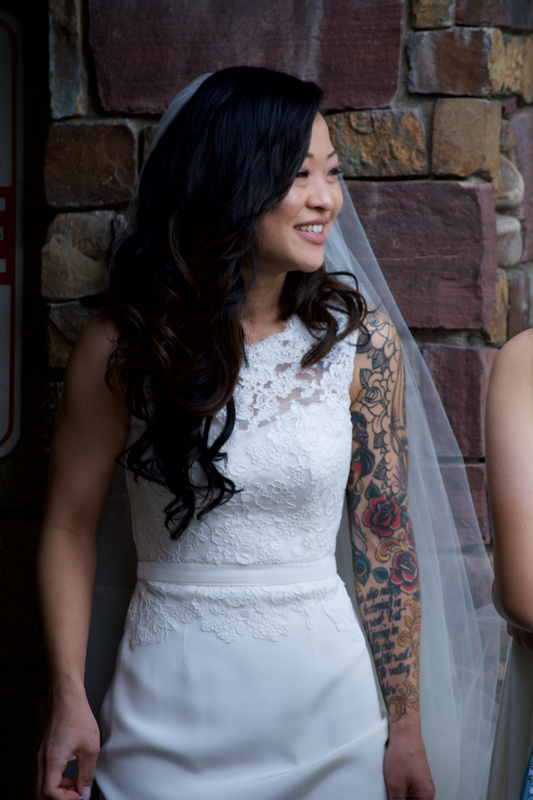 We particularly love the brides personal style. 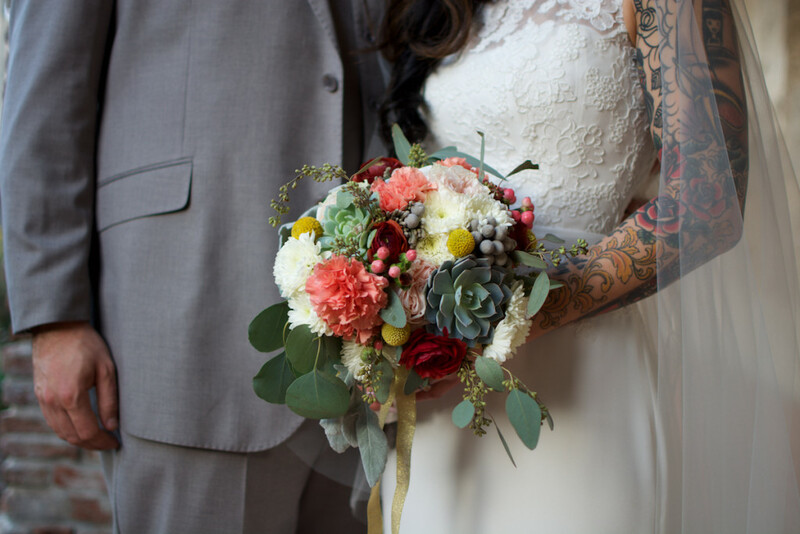 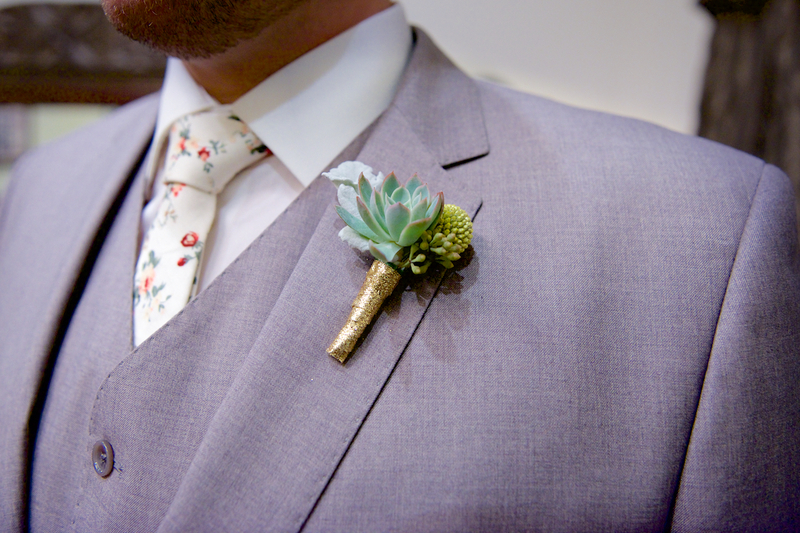 She wanted bright and fun florals to match her personality and the couple’s energy. 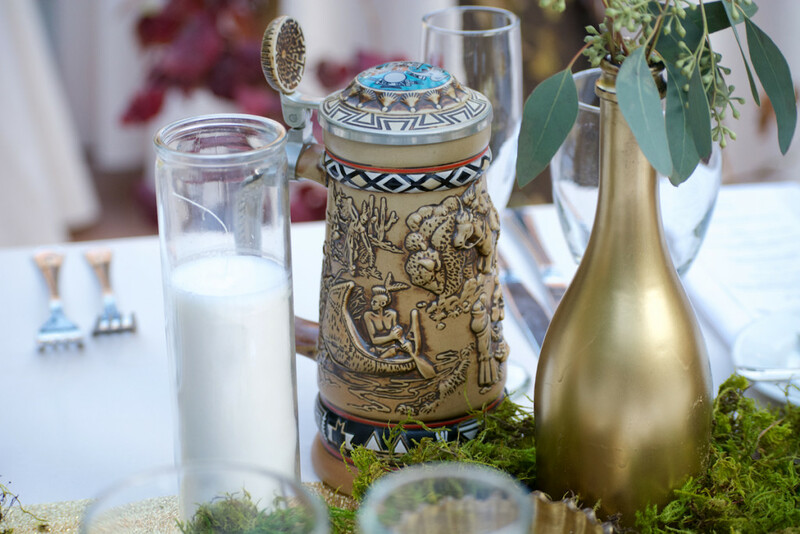 This couple incorporated elements from each of their backgrounds into their wedding day. 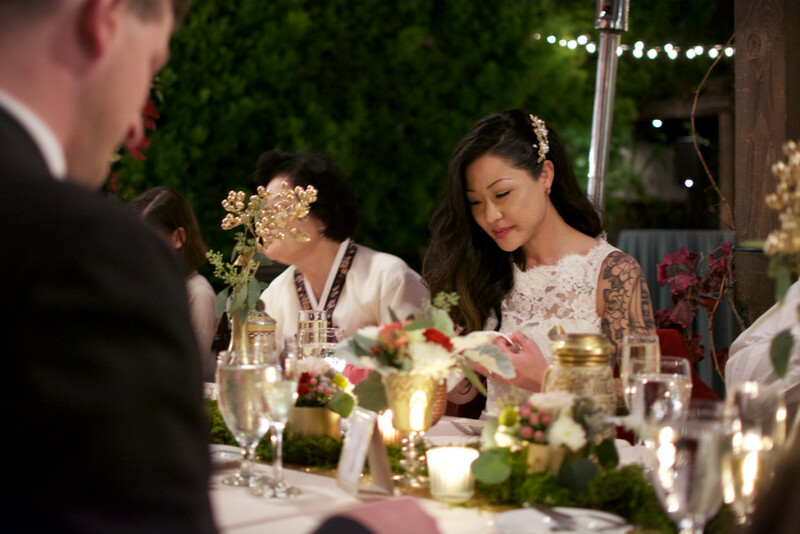 The colorful display of Thousand Paper Cranes was a piece of the brides culture; a traditional symbol of love in Japan. Japanese lore claims the crane is one of three holy creatures that can live for 1,000 years. 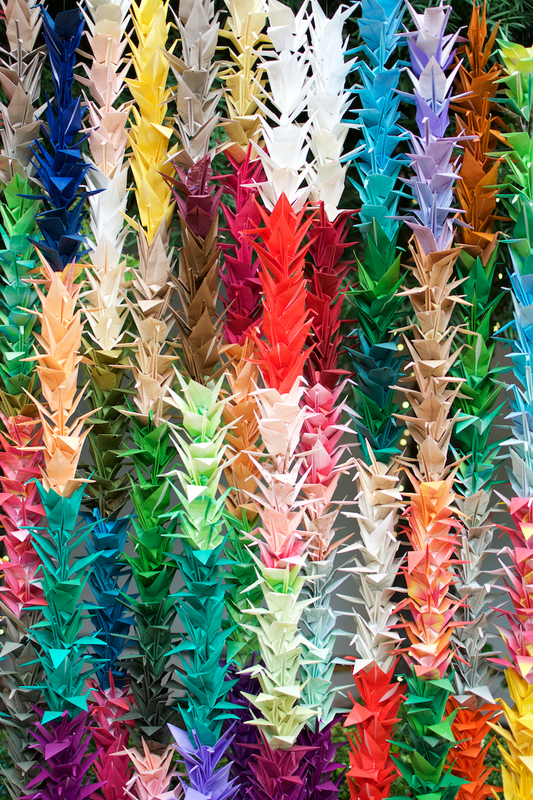 After folding 1,000 origami paper cranes, one for each year of its life, the majestic “bird of happiness” is able to carry that person’s prayers to heaven. 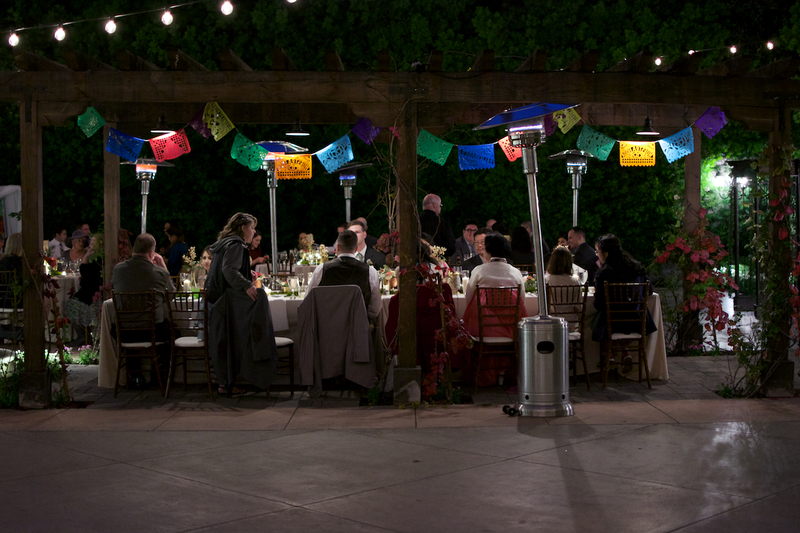 They also had traditional Mexican paper cutouts (papel picado) strung above the pergola in the courtyard, as an homage to the grooms background. 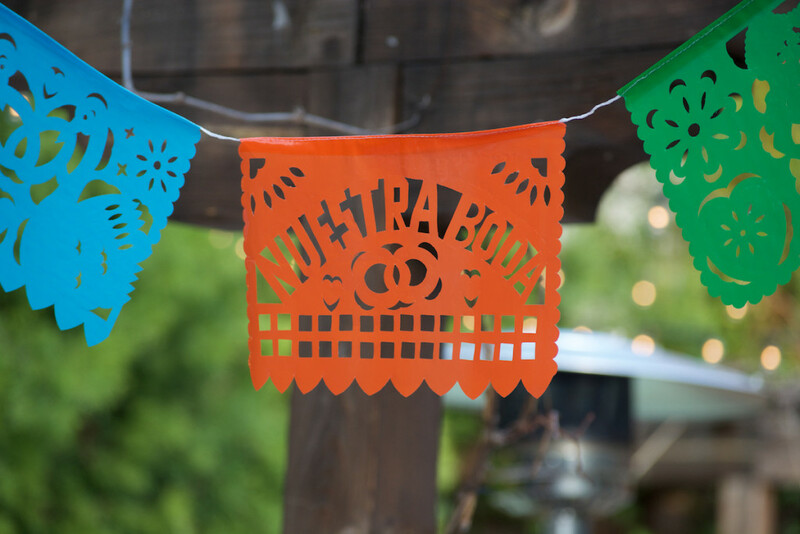 Papel Picado is a traditional style of paper-cutting from Mexico. 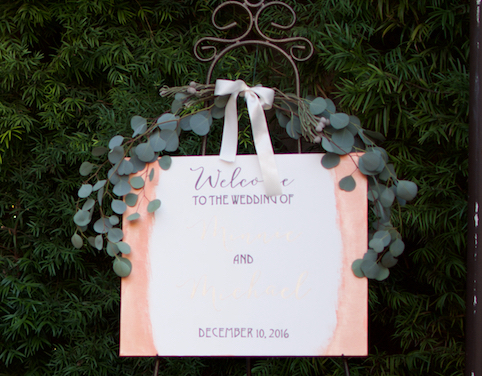 It originated centuries ago, when families would hang hand-cut paper on altars as a prayer offering. Traditionally, when people would put it up for a prayer offering, it represented the element of breath, the breath of life. 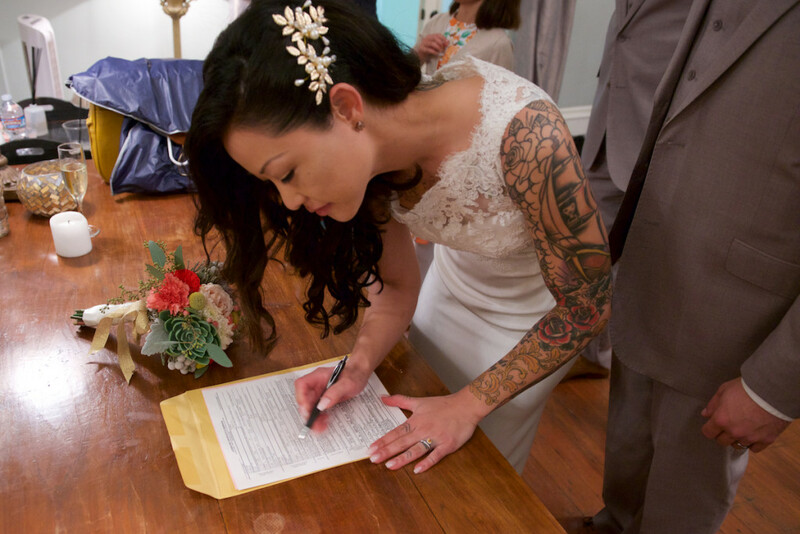 Paper does that because of the way it moves, and so hanging it up over your over your wedding represents the breath of life, and it holds the life of the party in its movement. 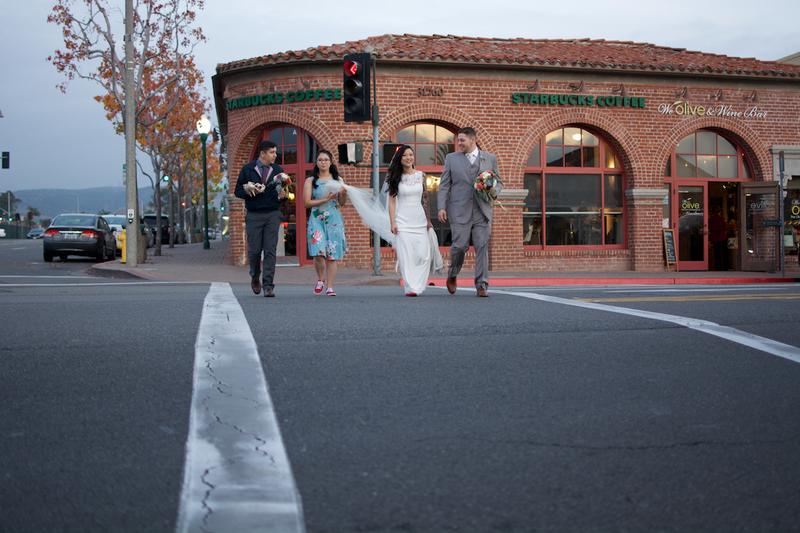 Check out a collection of photos from this couple’s wedding day below.